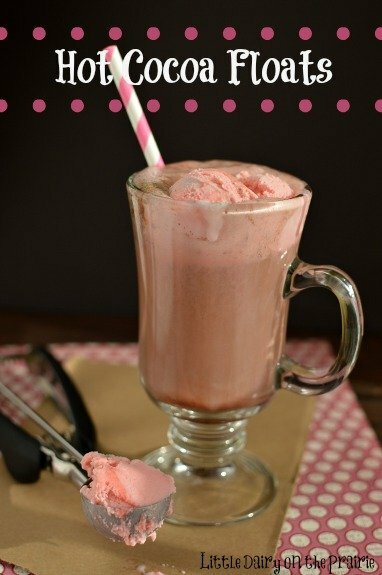 A creamy and dreamy way to warm up on a cold winter day! 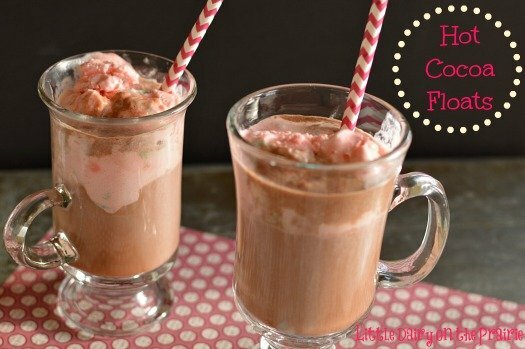 Hot cocoa with irresistible melting ice cream! Make everybody happy by simply adding their favorite flavor of ice cream! This is why winter days were made! Yup, that’s why winter days were made. I love, love, love it when my boys come in the house, gather around the bar and visit. Nothing keeps them there and visiting quite as long as when they have a really yummy treat. You may know that some boys aren’t the greatest at talking. Since I have four of them, I need all the “get them talking” help I can get. Food unlocks the talking in them. As long as I keep shoveling it to them they keep staying! This happens to be one of their favorites. I only give it to them if they promise to tell me secrets. Just kidding, maybe! It’s one of my favorites too because I can whip it together in no time. Make a batch of your favorite commercial hot cocoa. Or make your own if you are really ambitious. 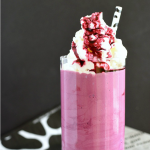 Add a few scoops of ice cream to each glass. Pour that piping hot cocoa over the ice cream in each mug. Add a straw, a spoon and there you have it. 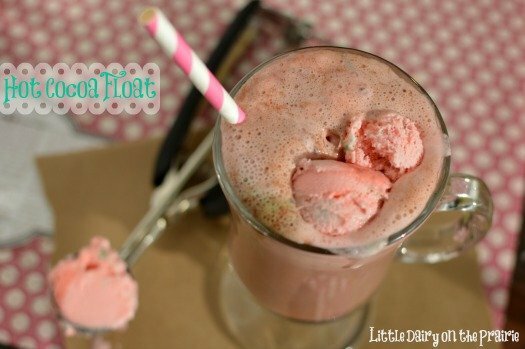 Of course you can make all different combinations of hot cocoa floats. 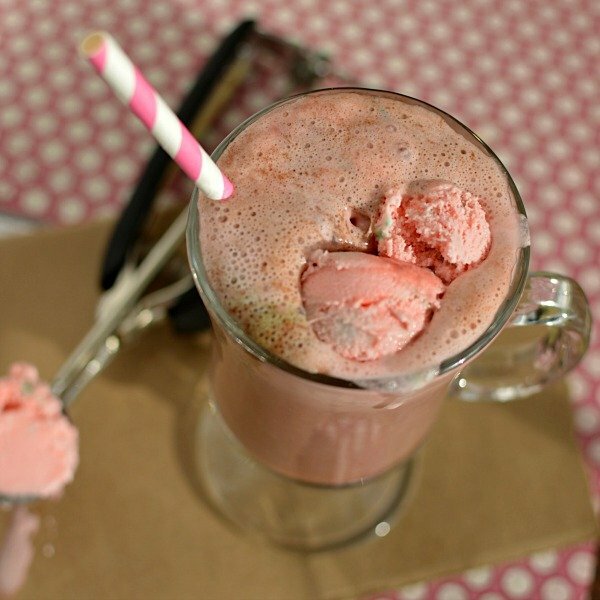 This one happens to be milk chocolate hot cocoa and peppermint stick ice cream. Have fun playing experimenting and coming up with your favorite combinations! Prepare hot cocoa according to package directions. Scoop ice cream into a mug. Pour hot cocoa over ice cream. Add a straw and a spoon. 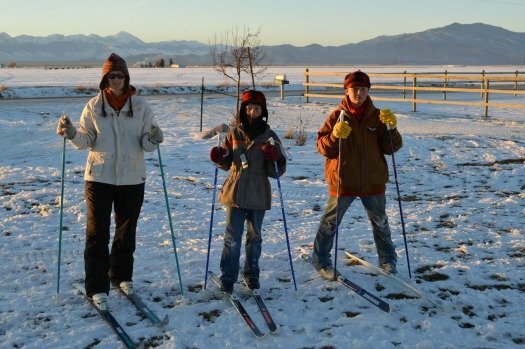 My mother in law has cross country skis and my boys decided to borrow them. They had been begging me to come ski with them. Don’t get me wrong, I love to go ski with them. My hang up was the temperature. It was a nippy 18 degrees when we left. We probably only went two miles. By the time we got back it was 13 degrees. I’m such a pansy when it comes to cold weather. I had so much fun with them that I didn’t even notice that it was so cold. Maybe because I am out of shape. Although I must admit that I kicked their trash! I was ahead of them the whole time! Loved it!! The winters here are much longer and colder than I wish they were. I have had to learn to enjoy the moments anyway. And who wouldn’t with these cute boys? 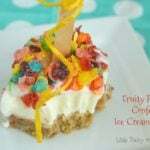 I just found your web site on Pinterest and I love your recipes.You have a beautiful family and I want to thank you for sharing them with all of us.It’s a funny path life chooses for us. God has put you where you needed to be, and you have made a great life out of it. These are the kind of comments that make blogging worth it! You are so sweet! Thanks for the kind words about my family and my recipes! I feel blessed to have a life that is so easy for me to love! I believe that you can subscribe to my RSS feed which will send you updates from my blog. I’m not a techie person…but I think it works! Glad you found me!! Have a great day! Thanks! My boys eat ice cream almost daily. This is a warm way for them to enjoy their ice cream even on cold days!! 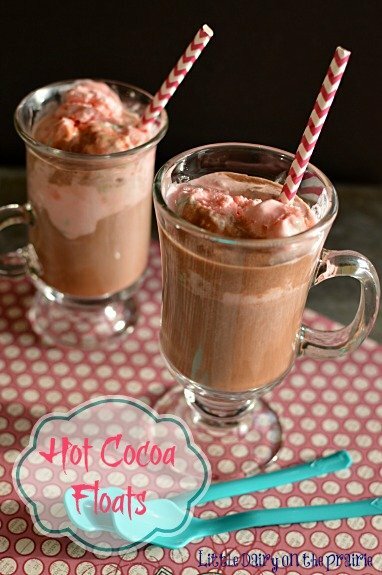 What a yummy idea to add ice cream to the hot cocoa! My kids will love this!!! 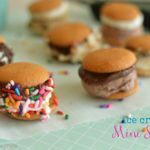 My boys love experimenting with all different flavors of ice cream and hot cocoa! 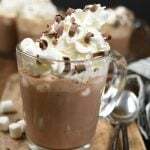 I usually put a dollop of whipped cream in my hot chocolate, but I will be trying this with mint chocolate ice cream here right away.